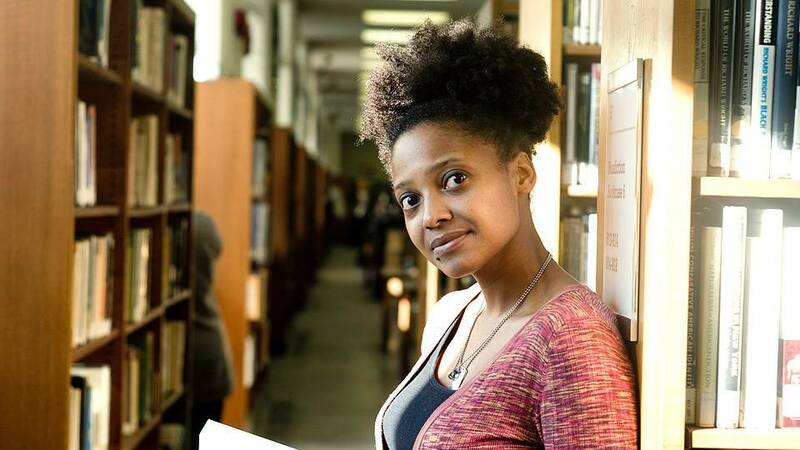 The Philomathean Society is proud to present Tracy K. Smith, Pulitzer Prize winning Poet Laureate of the United States, as the 2019 Annual Orator. 'Why Poetry? Why now?' features Smith's explanation of her belief in the power of poetry and literature to alter discussions of race, social justice, and gender equality in U.S political discourse. In her work, Smith wades between the scientific and the emotional, her personal identity and her greater social role as a woman of color. Combining elements of whimsy and science fiction, American history and spiritual elegy, Smith stretches beyond a single genre of poetry or memoir to try to grasp at something greater: how literature can raise empathy, awareness, and awe at the different angles of the human condition. Professor Smith is a poet and memoirist currently serving her second term as the U.S poet laureate. Smith's poetry "is a way of stepping into the mess of experience." She writes about identity, fraught national politics, and the power of words to drastically alter our thoughts, experiences, and collective existence. She is the author of the critically acclaimed memoir Ordinary Light (Knopf, 2015) and four books of poetry, including her most recent Wade in the Water (Graywolf, 2018). Her collection Life on Mars won the 2012 Pulitzer Prize and was selected as a New York Times Notable Book. Duende won the 2006 James Laughlin Award from the Academy of American Poets and an Essence Literary Award. The Body’s Question was the winner of the 2002 Cave Canem Poetry Prize. Smith was the recipient of a Rona Jaffe Writers Award in 2004 and a Whiting Award in 2005. In 2014 the Academy of American Poets awarded Smith with the Academy Fellowship, awarded to one poet each year to recognize distinguished poetic achievement. She is the Roger S. Berlind ’52 Professor in the Humanities, and Director of the Creative Writing Program at Princeton University. The Annual Oration will feature a lecture and a following Q&A. There will be a subsequent book signing with Professor Smith. A limited number of her newest book 'Wade in the Water' will be available for purchase after the lecture. Please contact Ms. Sydney Gelman (aodirector@philomathean.org) with any questions. Doors open at 7pm, the lecture will begin at 7:30 PM in room B1 of Meyerson Hall. Following the Annual Oration will be a reception with Professor Smith in the Philomathean Halls, College Hall from 9:30-10:30 pm. Cosponsors: Spec Conaissance, NSO Year of Why, Wolf Humanities Center, Spec-Trum, Penn Africana Studies Center, Spec Fully Planned, Penn Women's Center, Black Student League, T-Change, SAC, Campaign for Community, Penn English Department, The Alice Paul Center.